If you’re new to voting, PanelPicker is a two-step, crowd-sourced platform that lets you have a voice in the programming that is selected for the event. We think it’s an excellent way to take the pulse on what matters to you most while ensuring there’s a platform that supports meaningful discussions on significant topics. Last year was such a success that we’re back for more. We submitted three session ideas that we think are particularly hot this year: mobile, memory and the quantified self. Thank you for voting for us and supporting Cerego’s mission to transform how people learn. Mobile devices, fitness trackers and endless streams of personal data have become ever more present in guiding how we live our lives, but what about data that can optimize how we think and apply your strengths to a greater purpose? Using the lens of new learning technologies and analytics as a focus, Andrew Smith Lewis will look at how we can effectively measure, understand, and most importantly, apply new personalized data to help us mentally perform at our best. 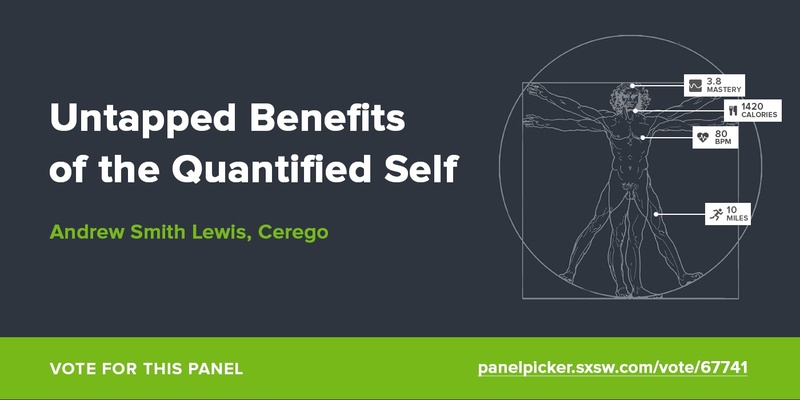 What are the untapped benefits of a more quantified mind, and how can this shift in thinking guide us to make more impactful decisions? Can better data on our brains help us lead better lives? In our mobile, device-driven culture, we have become used to being always on, always connected, and always within reach of the tools and information we need. This shift has produced fundamental changes in education, with student’s devices now driving much of how they engage and learn. Yet even as mobile technology promises to expand access, it also creates challenges as learning evolves beyond the classroom and must bridge a still prevalent digital-divide. 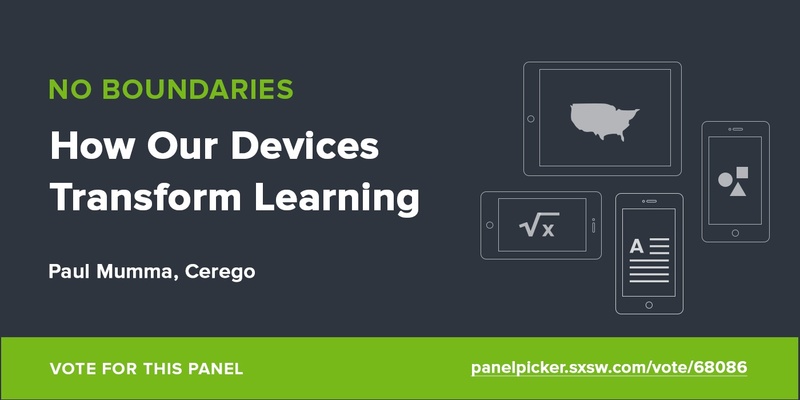 In this talk, Paul Mumma, COO of the personalized learning company Cerego, will look at how our devices are impacting learning in both traditional and new settings, and play a pivotal role in the future of how we learn. Seth Godin famously argued that there is “zero value in memorizing anything ever again.” In the post-Google, mobile era, where information is constantly at our fingertips, this may very well be true, but how does this cultural shift away from memorization actually impact knowledge and learning? In fact, your memory may be more important than ever in a role as the foundational knowledge from which our learning (and information seeking) takes shape. 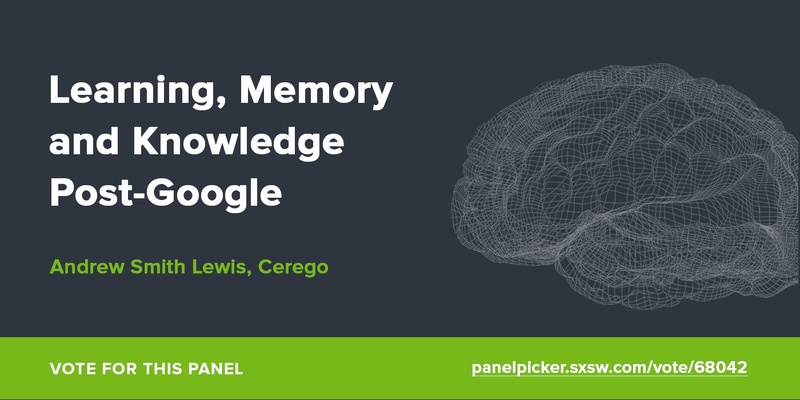 In this talk, Andrew Smith Lewis will look at the science of memory, and how technology is changing the cultural value of memory and knowledge. He’ll also explore the tradeoffs we may be making in the post-Google era as how we learn evolves. Ready to vote? It’s easy. See you in March at SXSWedu and SXSW!